The irascible A. J. Fikry, owner of Island Books - the only bookstore on Alice Island - has already lost his wife. Now his most prized possession, a rare book, has been stolen from right under his nose in the most embarrassing of circumstances. The store itself, it seems, will be next to go. One night upon closing, he discovers a toddler in his children’s section with a note from her mother pinned to her Elmo doll: I want Maya to grow up in a place with books and among people who care about such kinds of things. I love her very much, but I can no longer take care of her. A search for Maya’s mother, A. J.’s rare book, and good childcare advice ensues, but it doesn’t take long for the locals to notice the transformation of both bookstore and owner, something of particular interest to the lovely yet eccentric Knightley Press sales rep, Amelia Loman, who makes the arduous journey to Alice Island thrice each year to pitch her books to the cranky owner. I am almost at a loss for words regarding my love for the Storied Life of A.J. Fikry. While I want the entire world to know this book, I also want to keep it to myself for a little while. I felt that Gabrielle Zevin wrote this book for me (and other booksellers), but mostly for me. As a life-long book lover, and a bookseller for the better part of the last decade, this book captured exactly why those of us in the book-business do what we do. Ironic, I know, considering Audible is an Amazon company. I'm justifying this choice by telling myself it's different since I got this through the 30-day free trial. Don't ruin my fantasy. This is a tale of love, loss, and redemption. While it certainly stroked my bookseller/lover ego in all the right places, I wouldn't say it's strictly for these audiences. More than anything, it's a tale about community, and the surprising relationships that can develop over shared stories, whether in books or reality. 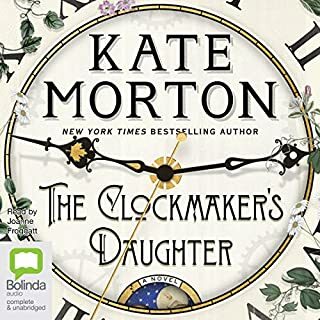 I struggled with the narration for the same reason I struggle with most audio books: the narrator's performance didn't match the way I would have read the physical book. It was a bit too dramatic for my tastes. 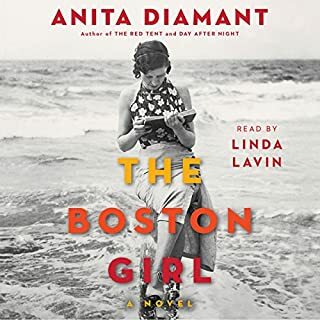 That being said, if you're a regular listener of audio books, you will probably find the performance fantastic, as I found it better than most. Overall, I would recommend you read this book, or give it too the book-lover in your life. I think I'm going to special order a physical copy from my local indie bookstore. reader is way to dark and dramatic for the mood of the story. he talks about her lingering in front of a Bank of America as though they are gargoyle is going to swoop down or something. does not match and it distracts from the great writing. kept me irritated, needing to supplement my own perspective of the correct tone constantly. made it a chore. I often turn to reviews from all of you. I am a great book lover and yes, I do listen to them. I would love to be guilt free enough to sit in my big old cushioned chair and read ... but I dust, do the dishes (try to avoid cooking) and I finish the laundry. I also drive between NYC and NH, those are the best four hours for listening to a good, solid book. I have been getting tired of all these genre books ... the ones with Black slaves being beaten by horrible white slave owners; the ones with Jewish people being tortured by white Germans; the ones with people hurting other people. Tired of it! 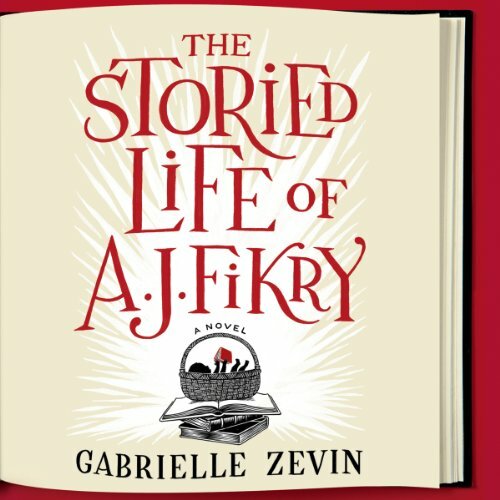 This book, "The Storied Life of A. J. Fikry," is a sweet, gentle book, just what I was looking for. The story was not boring, my attention never wandered, in fact, I did not even want to shut off the light and go to sleep. I totally enjoyed it. I gave it thought during the next day, I was sorry when it ended . So, if you are looking for "your next book," this is a good one. It sort of falls in the category of "Olive Kettridge" (sp? ) and the "Last stand of Major Petegrew" (sp?). I loved those too. My life is too busy to be bothered with people beating up other people. I am looking for soft and gentle, but not boring. Oh yes, very well written. The reviews of this book were so stellar, I thought I couldn't help but enjoy it. 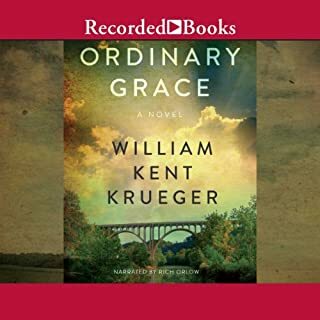 And, the beginning started out really strong with the premise of the widowed bookshop owner and the unexpected things that get him back to living. The book references just didn't save the plot as it started to unravel about halfway through the novel. From then on, there were hints dropped that just never went anywhere. I had this great idea about the ending, but the real ending was just downright depressing. A good first effort by Gabrielle Zevin, but needed a seasoned editor to tighten/add depth to the story. 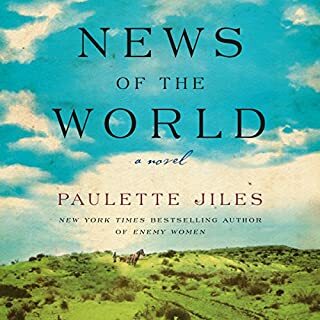 It has been a while since I’ve read or listened to a great book and wanted to get a review posted right away—but happily, I have just finished one and can’t wait to tell others!! The Storied Life of A. J. Fikry is that book. I was intrigued by the summary, and loved the idea of an independent bookseller being the central character. What a charming story!! I was hooked from the beginning, and was enthralled throughout. 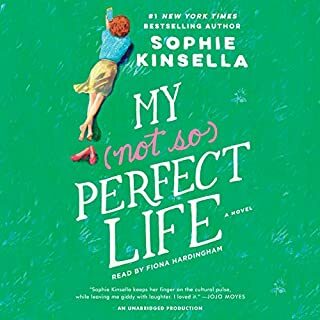 It is cute, quirky, funny, sad—heart-tuggingly sad—and I loved every minute of it! The story is original and very well written, and Scott Brick does an excellent job with the narration. I truly hope this book finds an audience—it deserves to—and I intend to help it along! I read this book for a book club. I had never heard of it. I didn't know what it was even about but I trusted my book club. 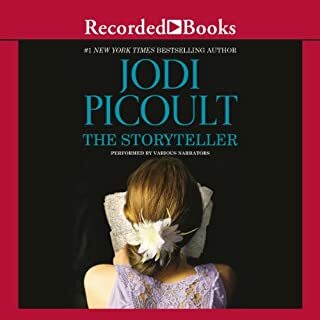 Luckily it was on sale at Audible for $4.95. I trust them but a good deal is even better. Then I read it or it was read to me to be accurate. It kept my attention which few books of this sort do. I prefer nonfiction, thrillers and sci-fi. So this was outside my normal genres. The first part was a heartbreaking setup the live of a widower and his little bookstore. It did get melodramatic and a little predictable in the second part and completely off the wall in the final part. However...I loved it. I loved it so much that I didn't go to my book club meeting. I didn't want their opinions (good or bad) to spoil my reading. Although it had faults, it also had wonderful truths. It had made me feel. When I was finished I felt something more than just a check on my to-do list and a sense of accomplishment. This book was like a good movie. You know the kind where you talk about it for days afterward until your whole family gets tired of you. I would recommend this to anyone who reads on the regular for all the cute references and just maybe it will have an affect on you too. No promises, but I hope so it is a good feeling when you find a special book. The narrator was VERY good. He did give a dramatic read if you don't care for those. The Audible sample gives an excellent sample of his delivery. I am going to buy myself a hard copy too. A depressed bookstore owner who has lost everything important to him...(except his books) finds something unexpected waiting for him in his shop which completely changes his life. References to other books and famous authors are scattered throughout this story of the effect books can have upon your life. By far the best book I've read this year. I am an odd "reader" of audible. I keep something playing at all times, even when asleep or away. Some books are great but I can only deal with once, while some book albums would have been broken from heavy usage, if we were still using tapes. This book is lovely and I'm delighted to add such a cozy situation, much made of literary bonds. Caution: the book takes awhile to pick-up and establish itself. I worry some readers will give-up before giving the book a full two hours. As far as the narrator is concerned, it is hard to say. My guess is that Scott Brick is somebody you either like or you don't. His style is distinctive. I really enjoyed this book and thought that Brick did a great job capturing the quirkiness of main character AJ with his narration. The story is awkward, charming, loving and generously told. It does help if you have read the books that are discussed at the start of each chapter. Not an absolute must, but knowing the books did increase my sense of connection with the story being told. To me, the writing was laugh out loud funny in places and almost disastrously sad in others. Occasionally the book hovered just this side of being impossibly sweet. Thank goodness for Zevin's ability to walk the tight rope between the saccharine and the melodramatic. In the end the story felt balanced and had believable well developed characters. Definitely a readers book that I found to be both touching and artfully written. He goes on to despise: ghostwritten novels, celebrity memoirs, debuts, chick-lit, poetry, or translations..."this goes without saying--vampires." But, he says, he likes "everything else." Fikry is a delightfully cantankerous man, a widower, satisfied with drinking his days away while the bookstore withers and dies. That is, until his nest egg, a rare copy of Poe's poetry, is stolen and he realizes he'll be making a living at selling books longer than he had intended. The theft sets off a series of events that broadens his lonely world, and tastes in books. It's like watching the Grinch's heart grow three sizes. Much of his personality is dispensed through his comments on known works of literature, and through little pearls of wisdom he passes along. We find out that in spite of his reading discriminations, Fikry is no misanthropic curmudgeon at all. "No Man Is an Island; Every Book Is a World" and I think most avid readers agree with the sentiment. “You know everything you need to know about a person from the answer to the question: What is your favorite book?” -- I'm still trying to choose just one. For anyone that loves to read, can't imagine ever being without a book, lists reading as their favorite pastime, this might be your answer (or at least one of them) to Fikry's question. Scott Brick's narration is a (controversial) matter of taste, like oysters or mushrooms or okra...you like it, or you really really don't. I've listened to books where his voice was well suited for the narration, but here it didn't convey the kind of warmth and charm needed to tell this story.